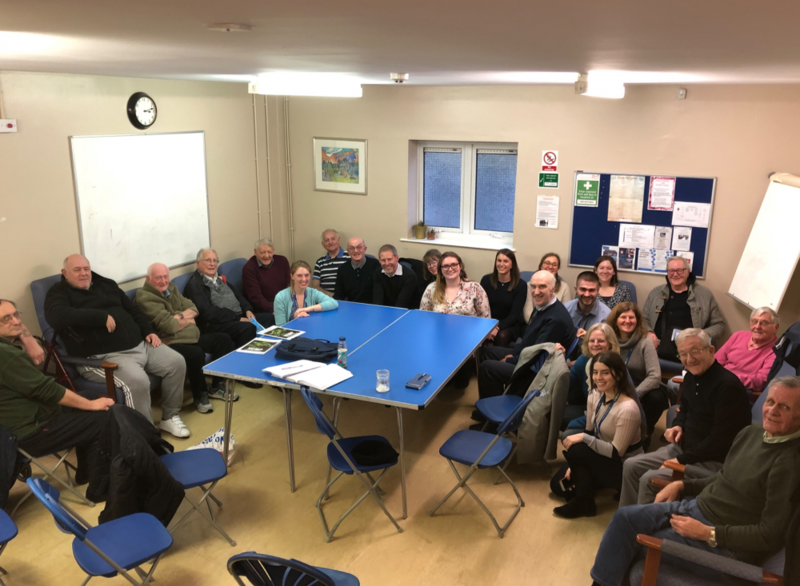 On Tues 5th Feb a big group from the Chartered Institution of Water and Environmental Management came along to specially talk to the Geezers about micro-plastics, shale gas, and other environmental issues. CIWEM are dedicated to sustainable management of the environment and have members across the globe. Sarah Anderton kindly emailed us to say: “We really enjoyed the Geezers’ company as well as the wide ranging discussion we had. What the impact and intention of fracking was? What was the reality of recycling? What provisions were in place for stopping the environmental flavour of the month widespread plastic pollution? CIWEM run lots of training courses. The top photo shows just one of them. 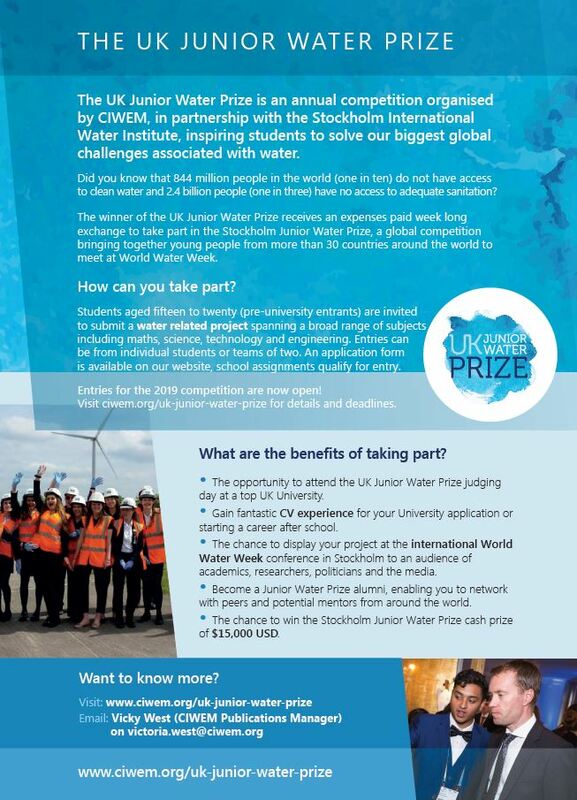 They left us the flyer below about the UK Junior Water Prize, a competition that encourages students to think of innovative solutions to current water issues and submit a project for judging. Please forward this to any secondary age students you might know.